FH555 Natural is a beautifully textured Linen/Cotton blend and chic addition to any home. FH555’s soft raised weave bordered by a thin brown thread provides a touch sensation and a robust fabric. Not only does the raised weave of this Natural add further texture to the touch but also to any decor. 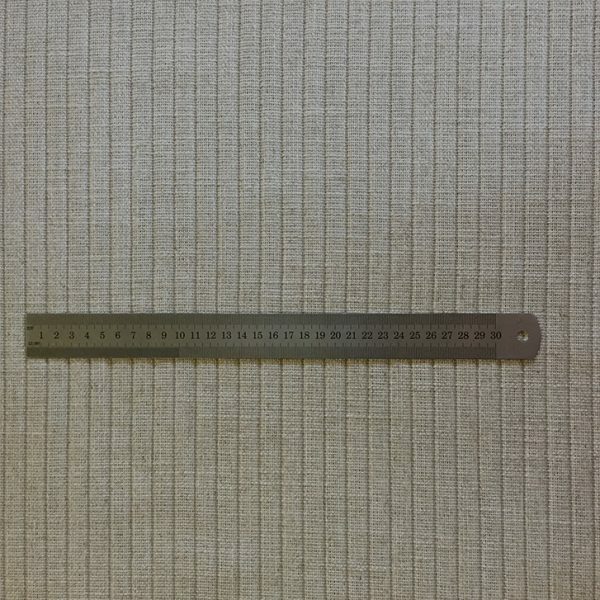 It’s neutral beige colour will compliment any interior colour scheme thus making it suitable for all uses. 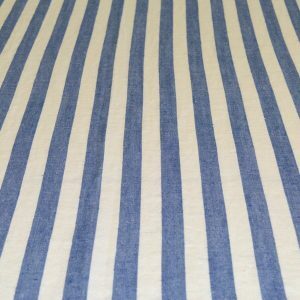 A modern yet timeless fabric suitable for upholstery and soft furnishings, it is important to note that this fabric’s stripe runs along the width. Chocolat Noir – Belgian Linen Noir is a heavy weight luxurious linen showcasing a simple thick weave. The moleskin brown is a cool dark tone. This colour pulls more cool tones like a dark 100% cocoa bar. Very little warmth to be seen which makes this easy to blend with other dark colours or neutrals. The robust weave and weighty feel all add to its glamour. Truly luxe with a soft to touch finish. Suitable for upholstery as well as soft furnishings. 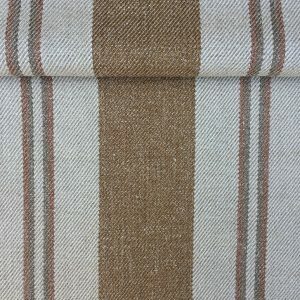 Hampshire – Linen/Wool, A beige base with large cream and terracotta stripes and on a diagonal weave. The combination of earthy tones, wool-linen blend material and unique weave add refined elegance to this fabric. 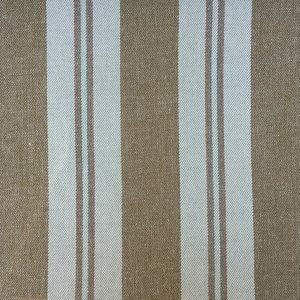 The large cream stripe has two thin khaki and burnt red stripes running through it to add detail and balance out this piece. Fairy Floss – Belgian Linen is a summer-soft pink linen. The 100% linen has a soft sheen and lightness of being to lift any decor. The solid colour makes this linen easy to pair with and very versatile. An eternally chic pink linen for sofas, curtains, cushions, bedheads or chairs (fixed or loose upholstery).